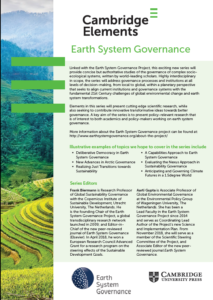 Cambridge Elements - Earth System Governance Flyer. 2018. This exciting book series provides concise but authoritative studies of the governance of complex socio-ecological systems, written by world-leading scholars. 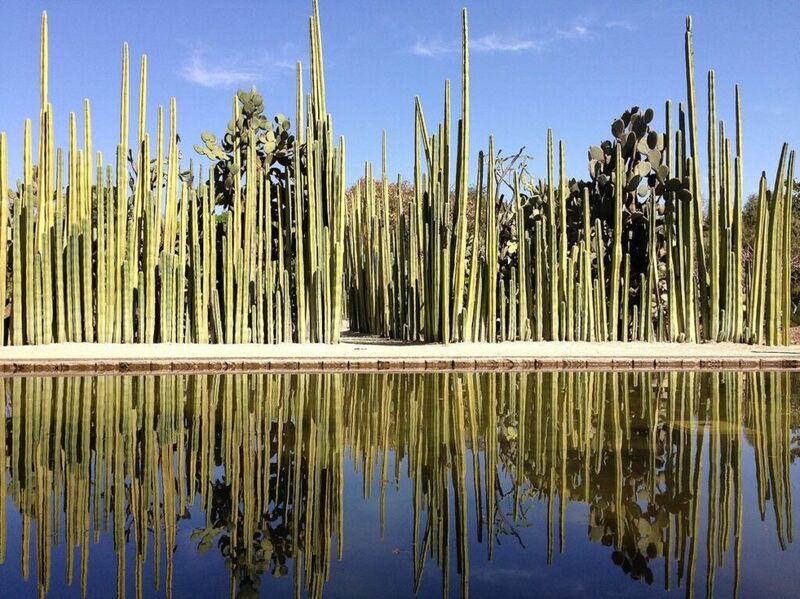 Highly interdisciplinary in scope, the series addresses governance processes and institutions at all levels of decision-making, from local to global, within a planetary perspective that seeks to align current institutions and governance systems with the fundamental 21st Century challenges of global environmental change and earth system transformations. Elements in this series present cutting edge scientific research, while also seeking to contribute innovative transformative ideas towards better governance. A key aim of the series is to present policy-relevant research that is of interest to both academics and policy-makers working on earth system governance. Cambridge Elements are original, concise, authoritative, and peer-reviewed collections of scholarly and scientific research. Organised into focused series edited by leading scholars, they provide comprehensive coverage of key topics in disciplines spanning the arts and sciences. Frank Biermann is Research Professor of Global Sustainability Governance with the Copernicus Institute of Sustainable Development, Utrecht University, The Netherlands. He is the founding Chair of the Earth System Governance Project, a global transdisciplinary research network launched in 2009; and Editor-in-Chief of the new peer-reviewed journal of Earth System Governance (Elsevier). In April 2018, he won a European Research Council Advanced Grant for a research program on the steering effects of the Sustainable Development Goals. Aarti Gupta is Associate Professor of Global Environmental Governance at the Environmental Policy Group of Wageningen University, The Netherlands. She has been a Lead Faculty in the Earth System Governance Project since 2014 and serves as Coordinating Lead Author of the Project’s new Science and Implementation Plan. From November 2018, she will serve as a member of the Scientific Steering Committee of the Project, and Associate Editor of the new peer-reviewed journal Earth System Governance.